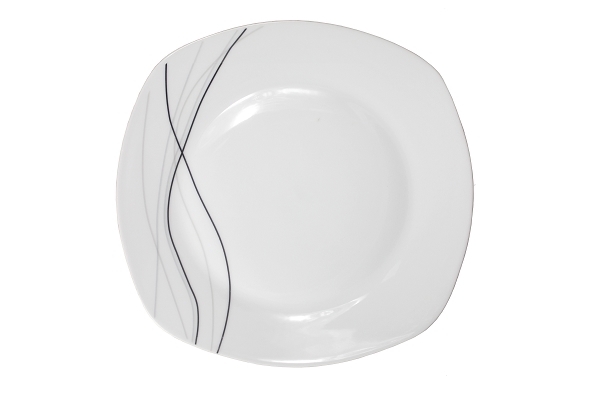 20 Piece Porcelain Square Dinnerware Set, service for 4. 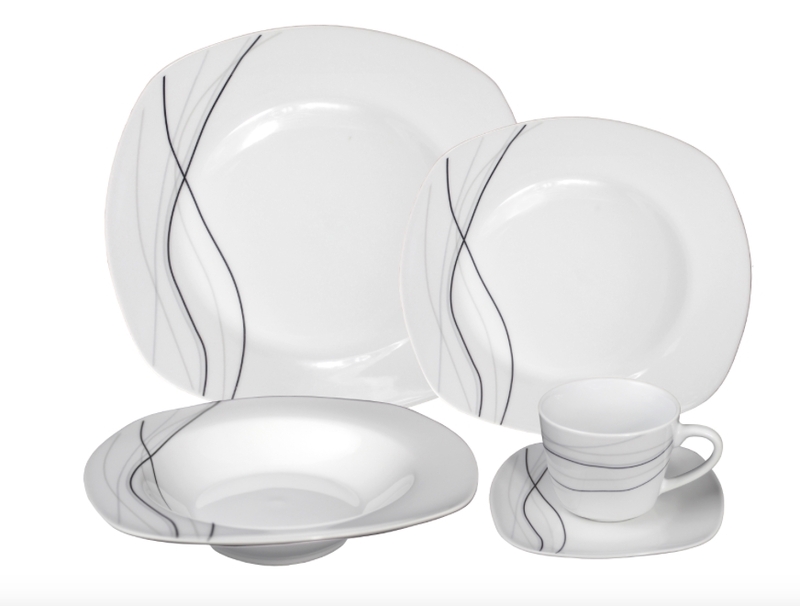 This elegant and stylish set features a silver and black confetti theme design and is made of durable porcelain. Set includes 4-10.5" dinner plate, 4-9" Soup bowl, 4-8" Salad plate, 4-6 ounce coffee cup and 4-saucers. Dishwasher safe.